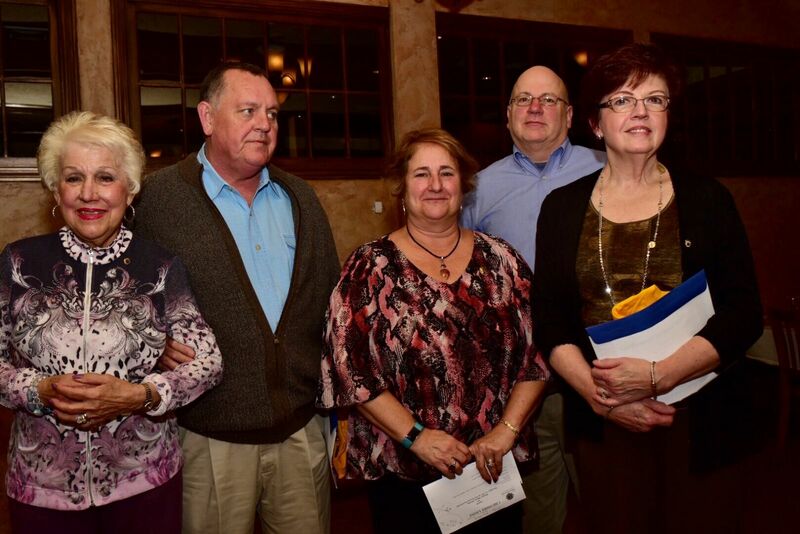 3rd Tuesday at 6:30 P.M.
On Tuesday, November 19th at the Waverly Tavern, Past District Governor Colette Anderson presided over the induction of Thomas Casey of Wallingford and Nancy DeFrancesco of Cheshire as our newest members. From left to right: Beverly Daymon, Tom Casey, Colette Anderson, Nancy DeFrancesco, Paul Ruszczyk. Congratulations, Tom and Nancy!